The new COM Express Type 7 quick starter set simplifies the evaluation of the first server-on-modules designed in accordance to PICMG’s COM Express Type 7 standard, poised to be globally deployed in cloud, edge, and fog server applications. 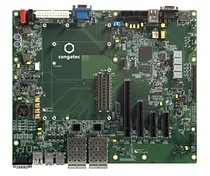 San Diego, CA, July 27, 2017 * * * congatec – a leading technology company for embedded computer modules, single board computers and embedded design and manufacturing services – launches the new COM Express Type 7 quick starter set as the fundamental basis for OEM’s modular micro server designs. The new quick starter set simplifies the evaluation of the first server-on-modules designed in accordance to PICMG’s COM Express Type 7 standard, poised to be globally deployed in cloud, edge, and fog server applications. Engineers further benefit from reduced validation efforts of their own carrier board layouts, as they can re-use the proposed best practice components and PCB design schematics for their own dedicated next-gen modular micro servers. 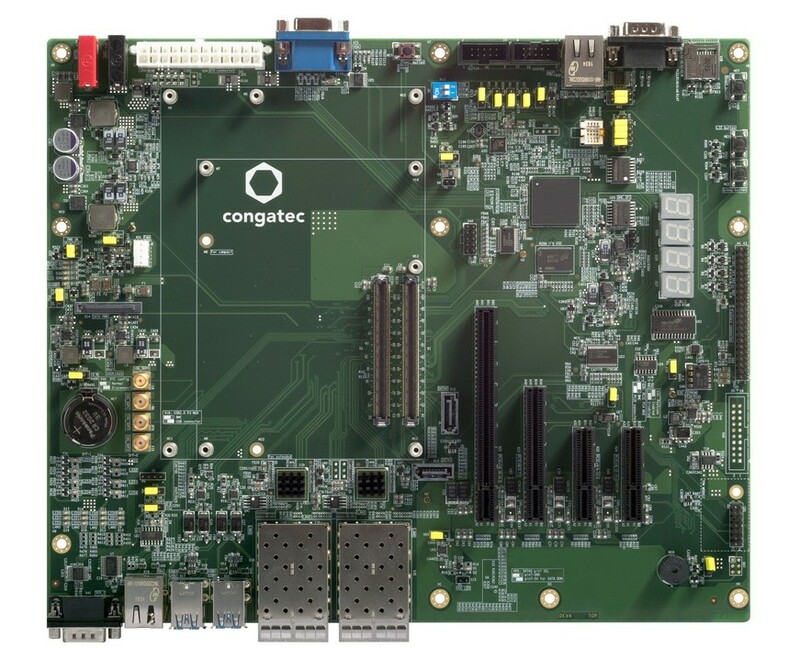 congatec provides the schematics of the new carrier board (conga-X7/EVAL) to all registered quick starter set customers for free. Intel and Intel Pentium, Xeon are registered trademarks of Intel Corporation in the U.S. and other countries.